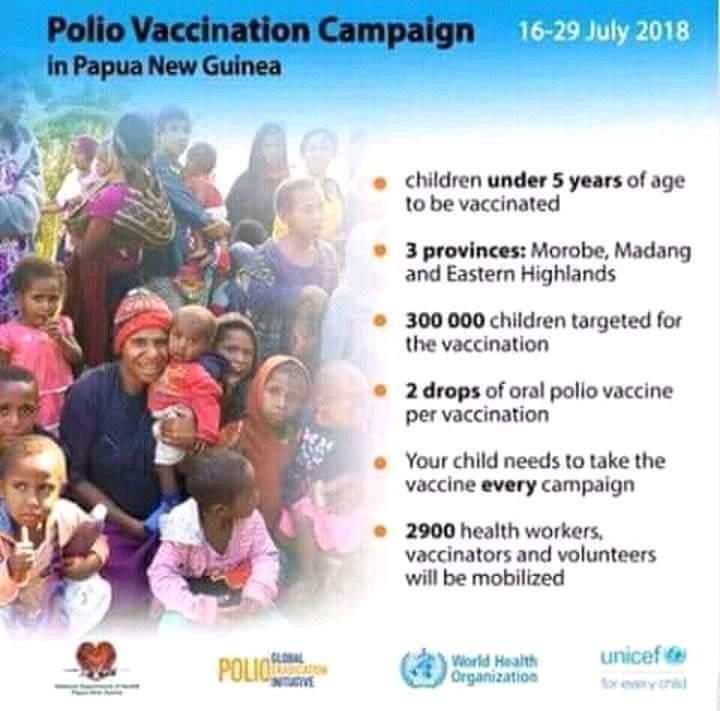 Health Minister, Sir Dr Puka Temu, said on the national level the Department is monitoring the outbreak and in the event of the disease spreading into other provinces, the current mass immunisation campaign in Morobe, Madang and Eastern Highlands will be expanded nationwide. The Abau MP says the health surveillance system is working but admitted that there is still need for more collaboration partnership from all sectors including the education department through the schools, the churches network and international health agencies. 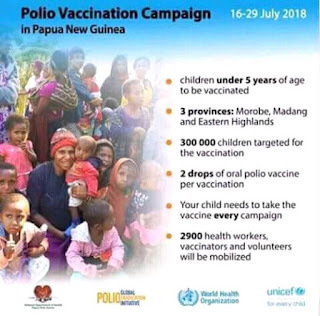 Minister Temu said from the Health Department down to the provincial health divisions within all provinces, there will be a nationwide revamping exercise to improve on surveillance of the polio disease. He said all the responsible stakeholders are making a concerted effort to contain the outbreak in these three province and not spread into other province and pointed the media, pastors and teachers as important partners in the mass immunisation and surveillance programs. According to the WHO, the Highly sensitive surveillance for acute flaccid paralysis (AFP), including immediate case investigation, and specimen collection are critical for the detection of wild poliovirus circulation with the ultimate objective of polio eradication. AFP surveillance is also critical for documenting the absence of poliovirus circulation for polio-free certification.